Golden dog tag, copy of U.S. Army issue one. 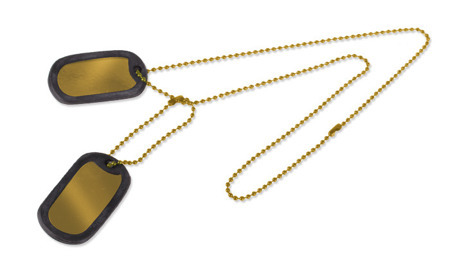 Worn around the neck by each soldier. The set includes two lightweight aluminum plates, rubber silencers and two ball chains, shorter and longer. All packed in a paper bag with printed instructions.